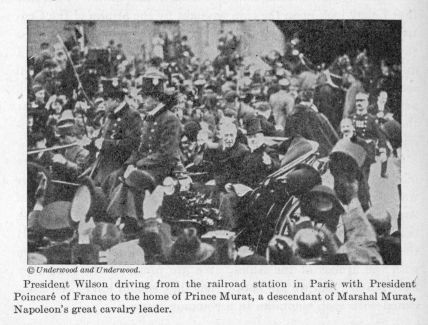 President Wilson driving from the railroad station in Paris with President Poincar� of France. President Wilson driving from the railroad station in Paris with President Poincar� of France. .